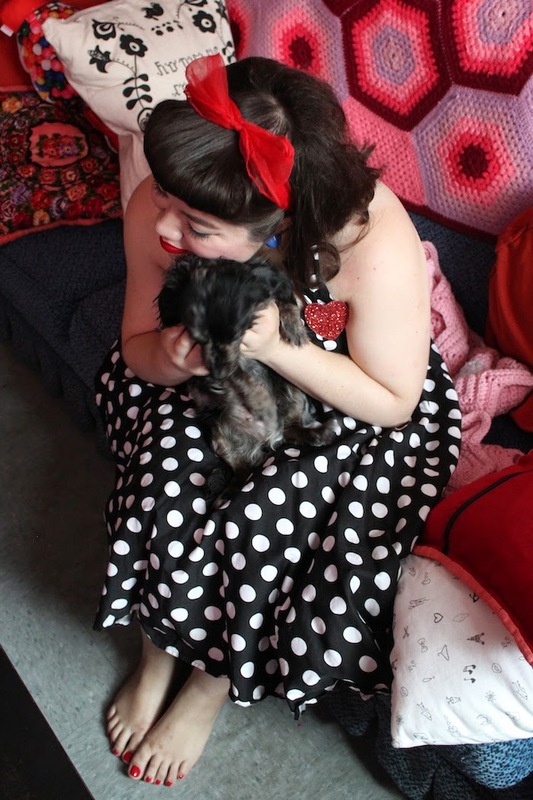 I spent my holiday leisurely sleeping and getting ready for a Rockabilly event while watching World War Z on Netflix. I'm weirdly into zombies lately. The last two movies I watched, before Netflix pulled them, was Evil Dead 2 (AMAZING) and Resident Evil (MEH). Both Resident Evil and WWZ had dogs briefly in them. 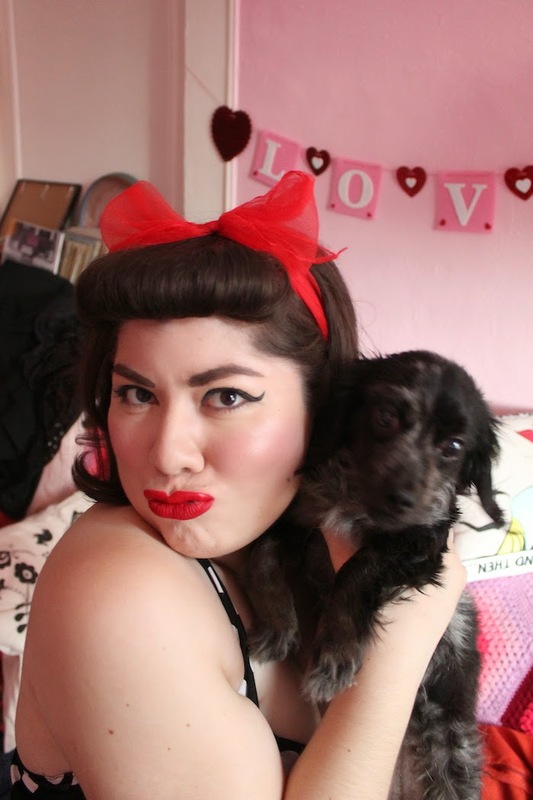 The moment a dog pops up on screen, Tallulah jumps off my lamp and starts barking, looking around somewhat confused. The Resident Evil dogs were huge zombie dogs so she went especially nuts. We had a little bonding time before I went out and Jason captured these adorable moments. I'm super happy with the way these photos turned out! If you're wondering how I mastered the art of bumper bangs, then head here! The event I attended was early, which I truly appreciate, so it left time for Jason and I to grab some "champagne" and head to my roof for the last half of the Fourth of July fireworks. Agreed, you are the cutest. 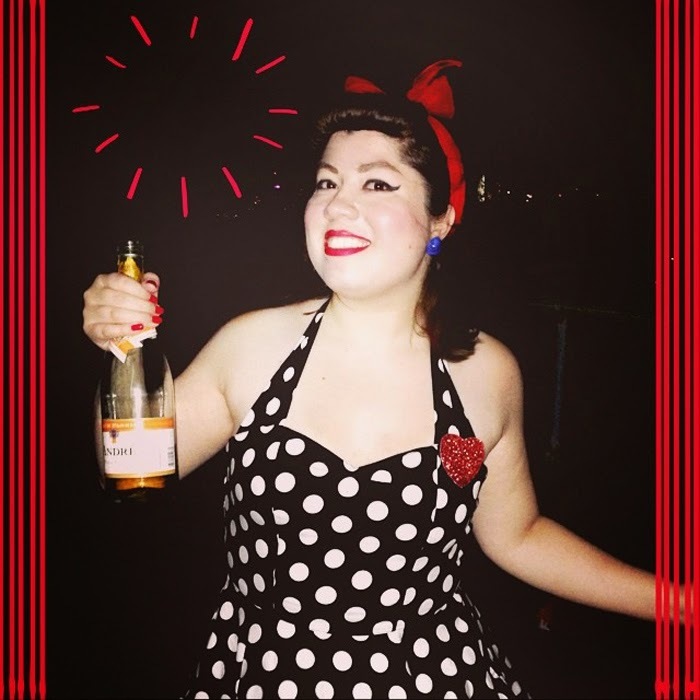 I also went to a rockabilly party on the 4th. 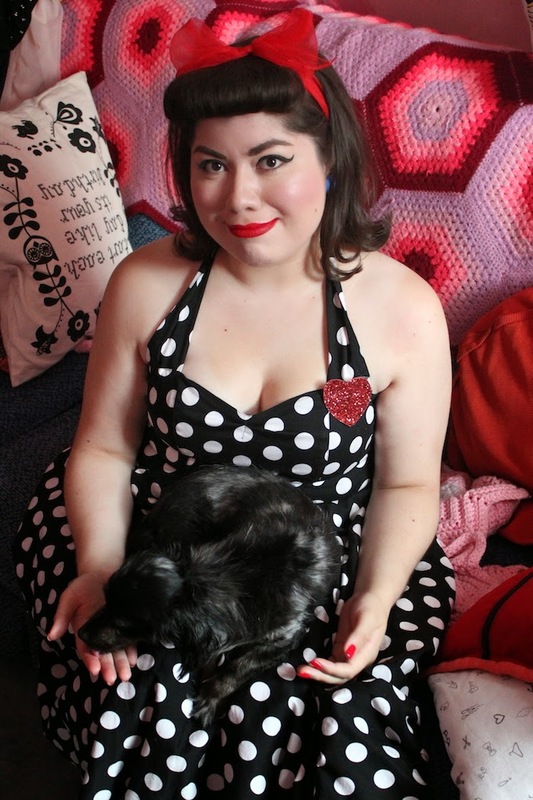 My boyfriend commented that it's like one of the high holy days for rockabilly folks. You look so pretty! Love how you styled your hair and did your make-up.I really need to learn how to do better things with my hair. And I have this dress in blue!